Where we are, it’s extremely cold; therefore this creative guest post from Jamie at Hand Made Kids Art is so fitting! 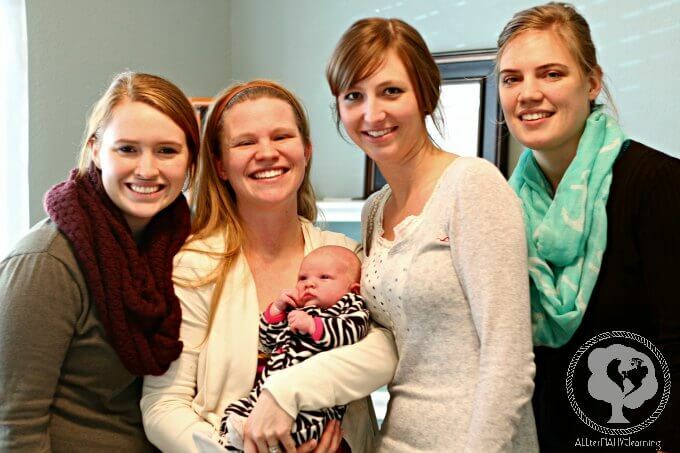 It’s a fun way for us to continue our tot school even with a new baby around and learn about snow and the cold weather. 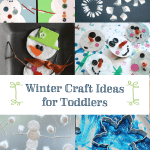 Keep reading to find more on how to enjoy this preschool winter art project for yourself! 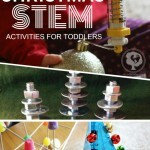 And check out our winter resource guide for parents that include more activities! 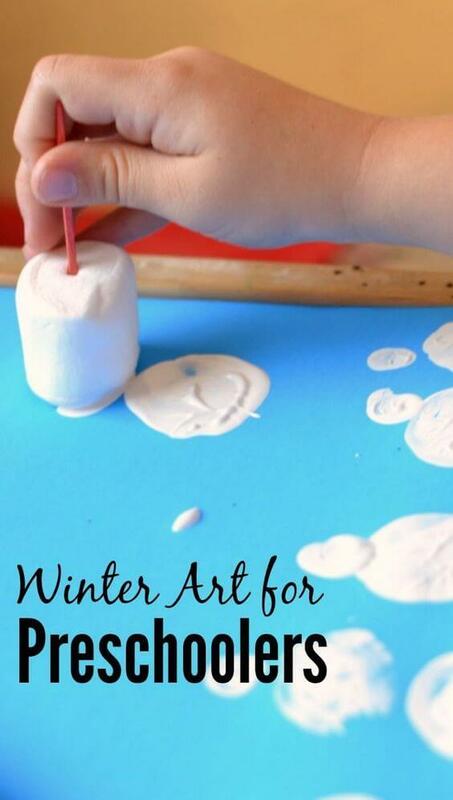 Combine Math and Art and create a snowman using paint and marshmallows! This simple yet engaging activity introduces your child to painting with marshmallows and how to paint a snowman. Add math challenges along the way to encourage and stretch their creative thinking. Don’t forget to check out the FREE get active indoors challenge! Adult Prep: Before introducing the activity to your child pour the paint on your palette and poke the toothpicks into the marshmallows. If you fear putting out paint for your little one, be sure to read our top 10 tips for painting with young artists. 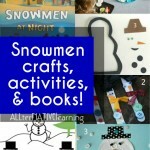 Step 1: Ask your child what shape creates a snowman? How many shapes do you need to build a snowman? Step 2: Let your child experiment with dipping the marshmallow into the paint and then stamping on the paper. Challenge your child to explore how to build their own snowman with the paint. Step 3: Once the paper has completely dried go back and add snowman details, such as a hat, scarf, arms, facial features and a carrot nose. Step 4: Display the artwork! Introduce math concepts while painting by discussing the shape the marshmallow leaves on the page (circle or oval). By repeating the circle on the paper your child is creating a pattern. For a math extension, try challenging them to make a pattern of snowmen on the page or ask if they can create a small, medium, and large snowmen. Let your child have time to explore and paint with the marshmallows. It may take them a bit to figure out how they can make their snowman. If your child has no interest in painting snowmen it is just as beneficial to let them explore leaving marks on the paper. After all it is fun to paint with a new tool like toothpicks and marshmallows. Exploring how to make marks (or even scribble) is a developmental stage for preschoolers. It is the process not the end product that is important with this activity. Ask your questions about creating art with Preschoolers! What a fun painting project for the kids. I really like projects that use unexpected items to paint with. It makes art so limitless for kids and their imaginations, doesn’t it? !